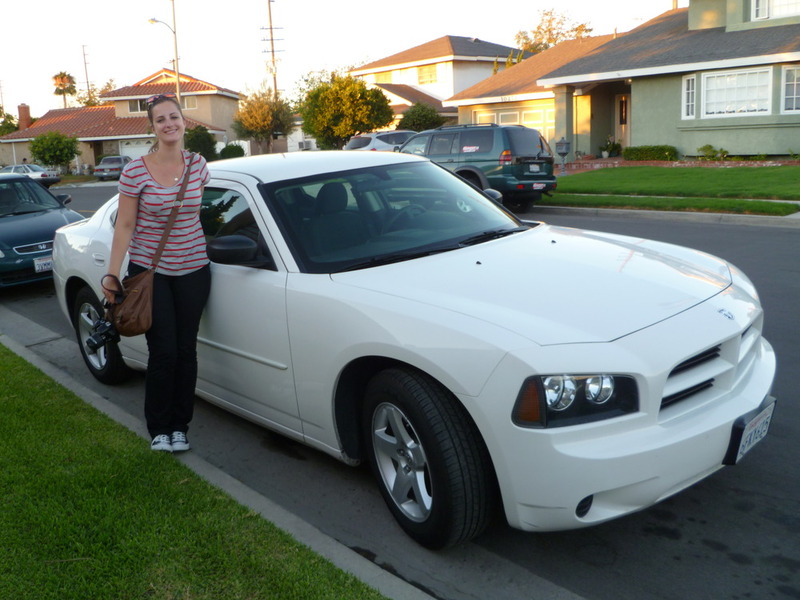 When we (my friend Christine and I) picked up our Dodge Charger last week for our Vegas road-trip, I wasn’t too nervous about driving. After all, we had GPS. However, since we returned the car we’ve been getting around in Christine’s sister’s Jeep, with no GPS, no cellphone…just us and Google Maps printouts. What can I say…it’s scary. Firstly there’s the whole driving on the right thing. Secondly there’s the traffic, the huge freeways, the confusing signs and the ruthless drivers. When changing lanes start turning the wheel as you turn on the indicator. Nobody is going to give you space to let you in anyway! Lanes are often referred to by number, e.g. the left or fast lane is called the ‘Number 1 Lane’. The lane to the right is ‘Number 2’, e.t.c. Don’t panic. If you miss a turn, take the next exit off the freeway, get back onto the same one but in the opposite direction and hope for the best! For further tips and hints check out Wikitravel’s page on Driving in Los Angeles County and download the California Driver Handbook.